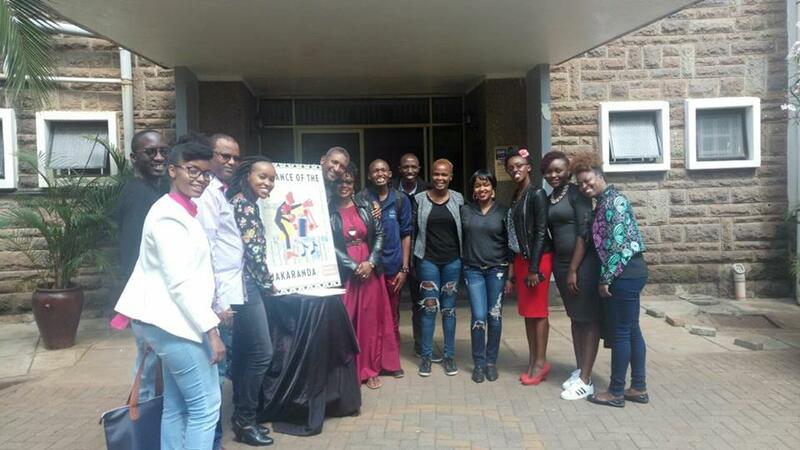 Kenyan author Peter Kimani was the guest of the Bookish People at the Kenya National Theatre in Nairobi on the morning of Saturday June 16, 2018. Bookish People is a small community of book lovers from Kenya with a bias toward African Literature. They read, review, recommend and promote African Literature and host literary events. The group hosted Peter Kimani whose most recent book is The Dance of The Jakaranda to a reading and signing at the theatre. The Dance of The Jakaranda is a book set in the shadow of Kenya’s independence from Great Britain that reimagines the special circumstances that brought black, brown, and white men together to lay the railroad that heralded the birth of the nation. The book which launched in April last year has gotten international praise including as a New York Times Notable Book of 2017. It was a pretty decent turnout with most seats filled at Ukumbi Mdogo, the smaller hall at the theatre, if you consider that it was a Saturday morning. The event was extremely well moderated by Maureen Wamuyu as the author did a few readings from his book as well as giving opinions on a variety of topics. Here are a few of our tweets from that morning. Previous Previous post: Fiston Mwanza Mujila is Austria’s Rosegger Literary Prize 2018 winner.